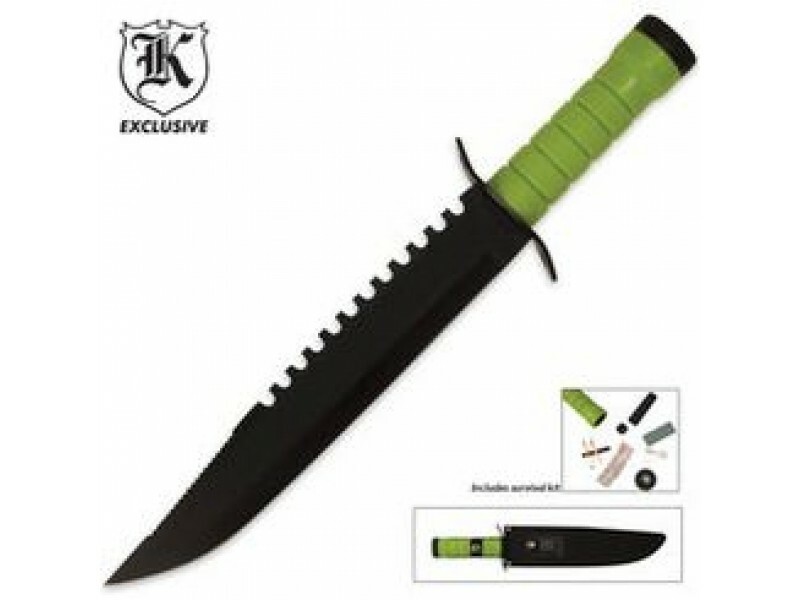 Buy Apocalypse Survivor Sawback Survival Bowie with Sheath , from Budk - RBC VISA for $19.99 only in My e-commerce. This Apocalypse Survivor Bowie features an 11" 3CR13 stainless steel blade with double sawback serrations. This Bowie includes a survival kit in the handle as well as a sharpening stone that is stored in the included nylon sheath. 16" ov.